Plastic ladder lock buckles connect strap well. Great use for hundreds of belts, backpacks, straps and much more. 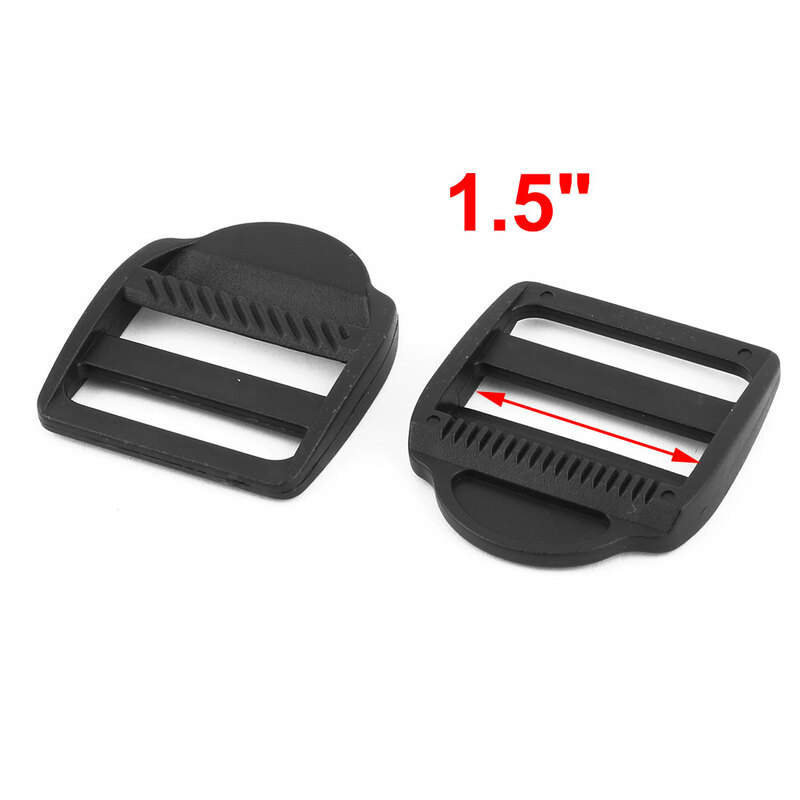 Good replacement buckle for luggage bag, backpack and other bag. Webbing threads through the fastener, keeping a buckle secure. 2.Please allow 1-3mm error due to manual measurment. A smooth surface and picot edge on the back, more antiskid. Can be used in various applications such as sports equipment, bag products and so on. This buckle is a component of handbag, used to wear strap, also a good ornament for your handbag. High strength, light weight plastic ladder lock buckle.